Instead of multiple user tiles and two check boxes per account (one for “Remember me” and one for “Remember my password”), now there is a streamlined page focused on one account and one check box to “Keep me signed in”. Changing trends in device ownership: As more people bought laptops and smartphones (which tend to be used by just one person), we heard more feedback that the tiles just got in the way, and what people really wanted to do was to just get to the service without interruption. We knew from our telemetry that fewer than 2% of users were using the tiles, but 100% of our users were interrupted by them in the old design. Consolidation on a primary account: Increasingly, customers are consolidating their Windows Live usage into one primary account. It used to be common for one person to have multiple accounts. As we’ve integrated Windows Live ID across other products like Xbox, Windows Phone, SkyDrive, and Office –the core account has become more valuable, and it’s become less necessary to switch between accounts. My Windows Live password used to be stored in a tile. Now I don’t remember it. 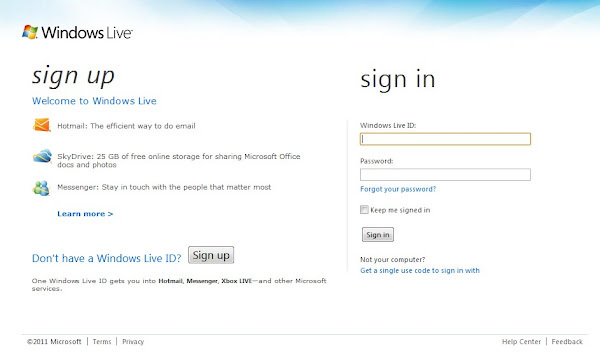 How can I manage multiple Windows Live IDs?